A high-speed chase in Durango ended in the arrest of two suspects a few miles north of Bayfield on Saturday evening. 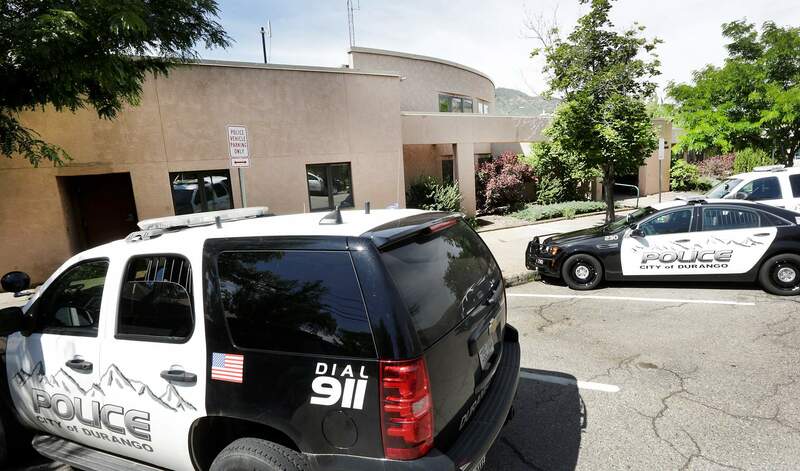 A high-speed chase in Durango ended in a manhunt that resulted in the arrest of two individuals a few miles north of Bayfield on Saturday evening. Christopher Sowder, 24, and Dillon McCarthy, 23, were arrested after leading police on a two-hour chase. Police received a call at 7:20 p.m. about a Toyota LandCruiser that was reported stolen last week being spray-painted near the Greenmount Cemetery, Cmdr. Jacob Dunlop said. Durango Police Department officers drove toward the area and passed the vehicle on the 9th Street Bridge. Officers began to follow the vehicle as it went north on Roosa Avenue and up into the Crestview neighborhood. Police followed as the driver drove north up West 2nd Avenue before driving north on north Main Avenue. The driver took a right at 32nd Street and continued to County Road 250. After a right at CR 250, the driver drove east on Florida Road/County Road 240. In town, the driver was driving roughly 10 MPH above the speed limit, Dunlop said. The chase continued along CR 240 toward Vallecito. At the intersection with County Road 501, the vehicle took a right toward Bayfield. It reached speeds of up to 70 MPH at times but didn’t speed particularly fast because of the winding roads in the area, Dunlop said. The Bayfield Marshal’s Office deployed spike strips a few miles north of Bayfield in the 2600 block of County Road 501. The driver swerved to avoid the strips and was unable to regain control, causing the vehicle to come to a stop on the east side of the roadway. The subjects fled the vehicle and ran into some grass toward a hillside. Law enforcement formed a perimeter and used Betty, DPD’s canine, to track the suspects. A CodeRed alert was sent out to nearby residences informing them that a manhunt was underway. Law enforcement requested helicopter assistance from San Juan County (N.M.), but it was unable to take off in time to aid in the search, Dunlop said. The La Plata County Sheriff’s Office, Colorado State Patrol and the Bayfield Marshal’s Office aided the DPD in the search. After roughly 45 minutes, Betty located the suspects submerged in an irrigation pond. “It’s good to have a canine,” DPD Police Chief Kamran Afzal said. McCarthy was taken to Mercy Regional Medical Center to be treated for hypothermia as a precaution before being taken to jail. “That water coming down the mountainside out of Vallecito is quite a bit colder than the other water,” Dunlop said. During the chase, the suspects threw several items out windows at officers, including a bag of dry mix cement, a pair of skis, a chain saw, a guitar amplifier, several cans of spray paint and drug paraphernalia. The guitar amplifier caused minor damage to the push guard of the leading police car, and one of the skis caused minor scratches to the hood and windshield of the vehicle. The bag of cement caused police to back off a little bit because of the cloud it created, Dunlop said. No injuries or other damage to property was reported during the incident. Officers believe the two were involved in a series of thefts that occurred last week, Afzal said. Both individuals had warrants out for their arrest. “They’ve had several run-ins with the PD in this area,” Afzal said. Officers found drug paraphernalia in the stolen vehicle. The suspects had also replaced the license plates with New Mexico plates. The two are being charged with aggravated motor vehicle theft, reckless endangerment, tampering with evidence, resisting arrest, obstruction and theft. “It was pretty unusual,” Dunlop said.